You are here: Home / 2016 / Two new adventures for the Mindjammer RPG! Two new adventures for the Mindjammer RPG! We’re delighted to announce the release today of not one but two brand new adventure supplements for Mindjammer – The Roleplaying Game. Funded by last December’s Kickstarter, we’re proud to bring you the thrilling exploration mystery adventure THE CITY PEOPLE, and DOMINION, the quickstart rules and introductory adventure for Mindjammer – a free PDF and special low-price print booklet! In THE CITY PEOPLE, an event horizon probe has discovered a lost colony world beyond the Commonality Frontier like no one has ever seen before. Join the crew of Maggie, the Magnanimous Intervention sentient starship, and take the light of humankind’s civilisation to the stars. Are you ready to push back the darkness – whatever you may find? DOMINION takes place beyond the borders of the New Commonality of Humankind, in the Sentient Alliance – turbulent worlds where the embers of the Venu War still glow. Even out here, stretched thin, the Commonality still tries to keep the light of civilisation alive: join a team of recruits to SCI Force – the Security and Cultural Integrity Instrumentality – on a mission gone horribly wrong on the cold war frontier with the Venu Successor States. Can you rise to the occasion and save the day before yet another world falls before the encroaching night? Both THE CITY PEOPLE and DOMINION are available immediately in print and PDF from the Mindjammer Webstore at Modiphius.com, and in PDF from DriveThruRPG, and will soon be available in friendly local game stores everywhere! « Happy New Year 2016 from Mindjammer Press! 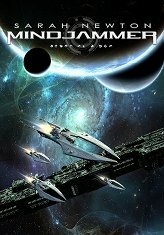 Two fantastic adventures for Mindjammer. Every time I start to write something; Sarah sets the bar so high it’s like being in the Olympics! I have already incorporated ‘Dominion’ into the Argonne Protectorates and tied in some of the back story of Seranis Seranon into the adventure.